There are many reasons due to which Canada is a dream destination for many people. Quality life, immigrant-friendly country, plenty of job prospects etc. But in order to survive in Canada, you will need a job. 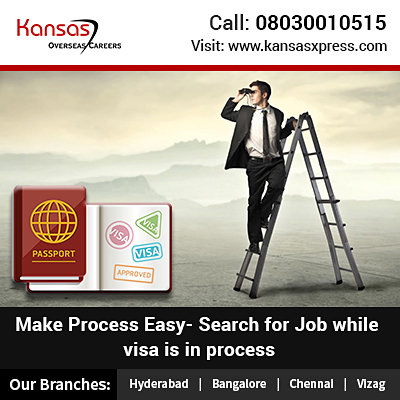 It is always better that you start looking out for a job when your Canada PR visa application is under process. Looking out for a job in Canada! Networking and references can help in a big way to get a job in Canada. Look out for organizations and communities where you can create more contacts. It is important that you discuss with these people that you are on the lookout for a job in Canada. They may be able to provide you with references. Many times it is found that people focus on just a few cities like Vancouver etc. What they fail to understand is that Canada is a huge country. It has a number of cities and provinces. There are different provincial nominee programmes which are specially designed to get skilled workers as per the needs of the provinces. It is important that the applicant tries to analyze the prospects in different parts of Canada instead of limiting the search to just a few cities. One more way of finding a job in Canada is through online portals. There are a number of job portals which provide the candidate with options for jobs in different parts of Canada. By entering the criteria in the job search menu, the applicant can get a list of available jobs in Canada. He must try to apply to different companies to increase his scope of getting selected. One more option that you have is that of Canada Immigration agents who have years of experience in helping candidates in job search, But for this, it is important that you opt for a good immigration consultant who has good experience in these immigration procedures. One of the best immigration consultants who provide job search services is Kansas Overseas Careers. We will analyze the complete details of your qualification, skills, experience etc. Based on these details we will help you find the right job in Canada. Canada is a place where there is no dearth of jobs for the right candidate. But along with job search, the candidate must also focus on other things. The candidate must try and make sure that he has a good command of English language. The candidate must try to explore the different provincial nominee programmes that the country has etc. Is IELTS is mandatory to do student or job process ?